In the early twentieth century brutal nation-states such as Mussolini’s Italy, Stalin’s Russia and Hitler’s Germany came to the fore and the twin evils of dictatorship and war ensured the rapid destruction of liberal democracy, market economics and the international order. In contrast, the latter half was concerned with re-thinking and re-shaping these core values which still guide political life after the millennium. 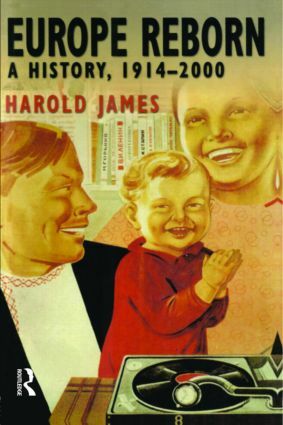 Harold James analyses the failures and achievements of the twentieth century. James lucidly argues that European societies today are dominated by the trend to converge around the principles of democracy, market economics and international integration. He shows that the stability brought by the gradual unwinding of the nation-state and the end of left-right politics have created a Europe ‘reborn’.